KM&A works every day to protect every worker and every small business from legal dangers that threaten their lives. As an employment and business law firm, we protect our clients’ livelihood and life’s work. Employment discrimination occurs more often than it should in the workplace. Sometimes it’s prompted by the culture of the workplace or by specific people within the company. Whatever the circumstances, employment discrimination is still illegal and inappropriate for the workplace. Employers are not permitted to discriminate against employees for any of the following reasons. When you suspect that you’ve faced illegal employment discrimination, you need to take steps to pursue your rights. Establish a paper trail of seeking to resolve the problem within your work by speaking with your manager or filing an in-company complaint with Human Resources. If and when your case gets to court, you should be able to show that you did everything in your power to solve the employment discrimination before filing with a government agency. A key component to succeeding in bringing a complaint to a government agency, whether the Equal Employment Opportunity Commission or the Pennsylvania Human Relations Commission, is hiring a Pittsburgh employment attorney. Frankly, a lawyer spends every working day dealing with the legal system, understanding the ins and outs of the process. An attorney knows exactly how to move your case forward. The government has laid out a number of laws to protect workers. These laws make up the backbone of your case when seeking to prove that you’ve suffered employment discrimination. Having anti-discrimination laws does nothing without a group to enforce those laws. Therefore, the Equal Employment Opportunity Commission (EEOC), a federal agency, and the Pennsylvania Human Relations Commission (PHRC), a state agency, exist to ensure that these laws are followed. The PHRC specifically upholds the Pennsylvania Human Relations Act (PHRA), which prohibits employment discrimination within Pennsylvania. When an employee files a complaint of employment discrimination, their complaint is filed either with the EEOC or the PHRC. Sometimes, it may make sense to dual file. But a lawyer can best help you determine what makes sense for your situation. Many people believe that to have a lawsuit, you just proclaim, “I’m going to sue you.” It’s not quite that simple. The legal system is made up of a series of processes to ensure that your situation is analyzed appropriately. 1. File a Complaint with a Government Agency. Your first step to a lawsuit is to file a complaint. This complaint can be filed with the EEOC as well as the PHRC in person or by mail. From there, your complaint is investigated, and the government agencies try to resolve the issue. Be sure to work with an attorney to ensure that your complaint holds all relevant and crucial information about your situation. 2. Receive a Dismissal or Notice of Right-to-Sue. Eventually, the EEOC or PHRC will make a decision about your complaint. Of course, you can also request a Notice of Right-to-Sue if 180 days have passed. Once you have the notice, you can file a lawsuit. Beware that you only have a certain amount of time to file a lawsuit, usually only 90 days. Your employment attorney can keep your case on schedule. When you file your complaint with the EEOC and the PHRC, you can then choose to file your lawsuit with either the federal court or the state court. You cannot file with both. An employment attorney will know which court will be best for your employment discrimination issue. When you file an employment discrimination complaint, you intend to win. To score a favorable outcome to your situation, hiring a lawyer is a necessary step to setting up your case for success. First consultation is on us. Call 412-282-8248! Kraemer, Manes & Associates LLC (KM&A), a Pittsburgh-based employment law firm, represents Pittsburgh natives and transplants in all types of employment matters. Whether you are dealing with employment discrimination or crafting an exit strategy, a Pittsburgh employment attorney can come alongside you to help ensure a favorable resolution to your legal issue. Tech savvy and accessible, we are here for you. Call today at 412-282-8248. Sure, you can represent yourself for a lawsuit, but your employer isn’t going to take you seriously. The presence of a qualified and experienced Pittsburgh employment attorney heightens the importance of your case. Otherwise, your employer may just continue to walk all over you because they are likely familiar with handling lawsuits. The legal system can feel like a hurry-up-and-wait process. Some of that is because it is, but a lawyer also knows what steps to take to make your case more of a priority. Lawyers deal with the legal system every day. You want results and so do we. The law outlines certain filing deadlines for employment discrimination, harassment, and most workplace issues. Incomplete paperwork filed late only hampers and sometimes disqualifies your case from the legal system. Your lawyer ensures that the right information is included in your complaint to enhance the likelihood of a favorable outcome. Why A Pittsburgh Employment Attorney? 1. We have years of Legal Experience. We aren’t new at this. Not even a little bit. Our years of experience coupled with our legal knowledge ensures that we can handle any employment issue you bring to us. We work hard so you can enjoy your employment rights. 2. We Know Pittsburgh Employment. 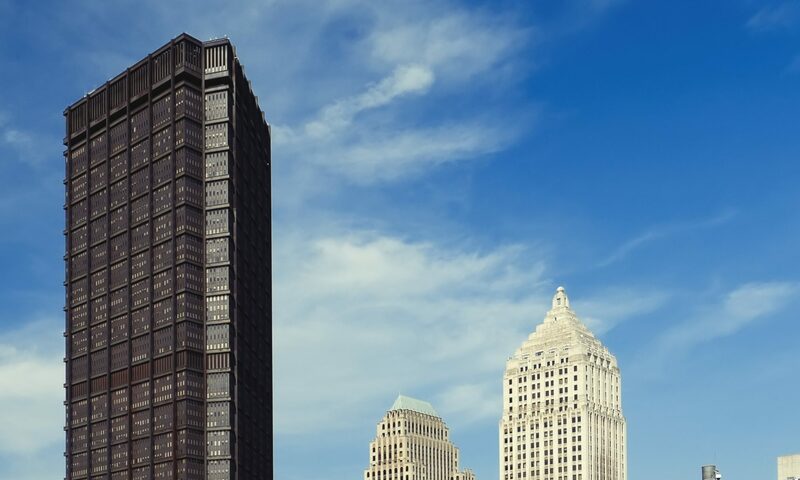 With its unique international community along with born-and-bred natives, Pittsburgh presents a melting pot blend of interesting workplace issues. While sexual harassment and employment discrimination top the list, we also handle unemployment. If you’re dealing with an illegal workplace issue, you need a lawyer now. Country to urban in just thirty minutes, Pittsburgh is the center point for large population. This city continues to top the list of most loved places to live, and we couldn’t agree more. You’re just as likely to see us in the courtroom as you are to find us at a Pens or Steelers game. But, our best moments are when we champion you and fight for your employment rights. 4. You Are Our Neighbor. Mr. Rogers knew it. Neighbors take care of each other. Big yet small, Pittsburgh is our neighborhood, and you are our neighbor. Our Pittsburgh employment attorneys are ready to stand by your side as you navigate the legal system and fight for your employee rights. Why go it alone? Don’t ignore your employment issue. Take the necessary steps to fight for your rights. Call a Pittsburgh employment attorney now at 412-282-8248 or email us at lawyer@lawkm.com.